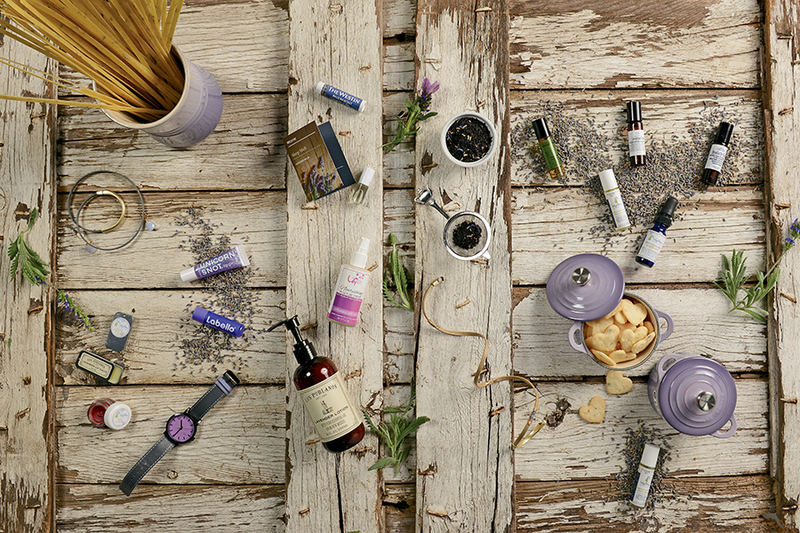 Are you an adrenaline junkie? Being an adventure-seeker myself, I’m up for what goes fast, faster, and fastest, whether pedaling through snow, mushing a dog sled, or taking an exhilarating snowmobile ride in a winter wonderland. Here are my picks for the best need-for-speed winter adventures in Colorado. Yes, you can ride a bike through snow—on beefed-up, under-inflated mountain bike tires, 4-5 inches wide. It’s called “fat biking,” and you may feel a little goofy at first, like I did, teetering like Humpty Dumpty on his wall, but you quickly get the hang it. Big nubs on the tires dig into the snow and grab it so you don’t slip and slide. 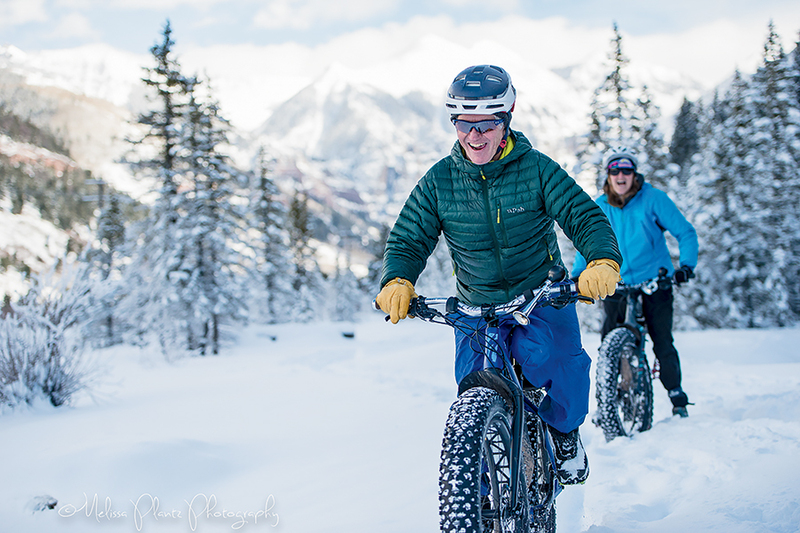 For a ski and fat-bike combo like no other in Colorado, I suggest cruising with BootDoctors in Telluride. After a morning of skiing turns in the “American Alps,” as the San Juans are often called, I wanted a leisurely ride and the “Bike and Brews” ride was a perfect option. Your bike ride starts by cruising past historic buildings along Colorado Avenue, then you trek on your own for a couple of miles along the valley floor, taking in the stunning scenery of the box canyon. There’s an easy climb for the last mile into the Lawson Hill neighborhood, just east of downtown Telluride. There you’ll put your bike away and stroll into Telluride Distillery Company to sample their vodka or whiskey. For something a little more unusual, try the Chairlift Warmer, a craft peppermint Schnapps. Just across the parking lot is Telluride Brewing Company. Water supplied by snowmelt is the key to their award-winning craft brews. Don’t worry about riding back; BootDoctors will shuttle you and your bike back to town. 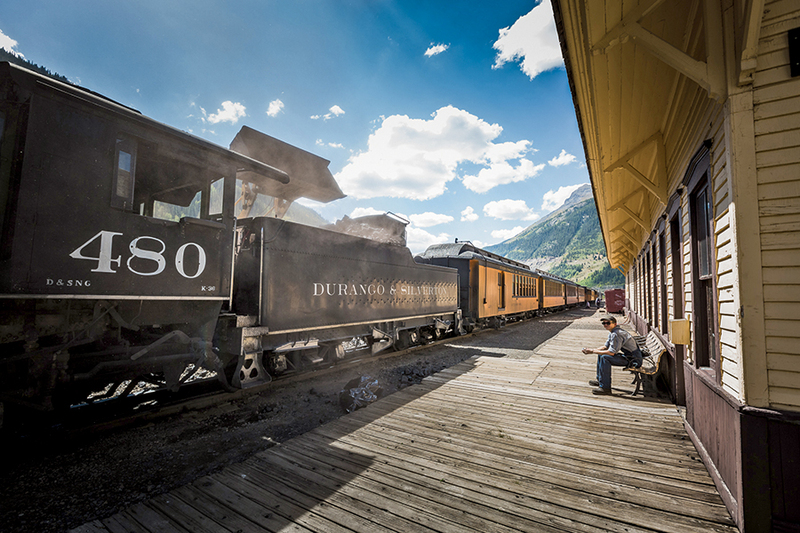 Explore some of Telluride’s rich mining history by taking a ride along the River Trail to the Idarado Mine and Pandora Mill. You might even see ice climbers scaling the iced-over Bridal Veil Falls. If you want to ditch the skis or board, but still want the thrill of going down the mountain, try snowbiking at Telluride Ski Resort. Instead of wheels, your snowbike has two short skis so you can glide on the snow. You do have to go through a fun two-hour certification class before you can cruise the mountain on your own. If you are a dog lover, this should be in the top spot of your winter bucket list. At Good Times Adventures in Breckenridge, you get a chance to not only ride on, but also drive your own dog sled. The first time I went, I wanted to push the limits and truly feel like I was part of the Iditarod, mushing a team of huskies winding through six miles of trail in the Swan River Valley. The ride can be as tame or wild as you want. Up to six people can go on a tour together, taking turns running the dogs. I’ve gone three times with three different groups, and everyone, including 10- and 12-year-old boys, said they would go again in a heartbeat. Before you drive your sled, you’ll meet your team. Each set of dogs on the line plays a specific role. 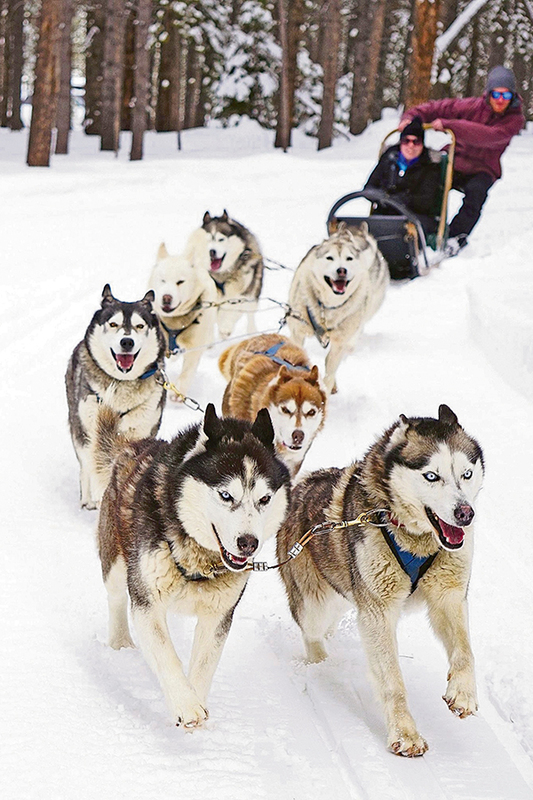 The two dogs in front of the sled are the wheel dogs—the strongest of the team. “Wherever the wheel dogs go, the sled will follow,” the guide told us. Each time I’ve gone dog sledding, I’ve noticed the same thing: with tongues hanging out, the dogs look like they’re smiling as they run. As we climbed the first hill, I couldn’t help but realize these working dogs love to run as they take you through the forest and across the meadow of a winter wonderland. After the run, the dogs receive chunks of meat, and at least a two-hour nap. Each dog has its own dog house in the dog yard. When the dogs hit 8 or 9 years old, they’re retired and put up for adoption. Dog sledding is just doggone fun, especially knowing about the care they receive. This is a speed racer’s dream. Combine a high-speed ride with a scenic snowy alpine landscape, and you’re enjoying the thrill of snowmobiling in Grand Lake. Some of my cousins joined me for a ride in the snowmobiling capital of Colorado. There are over 300 miles of trails. 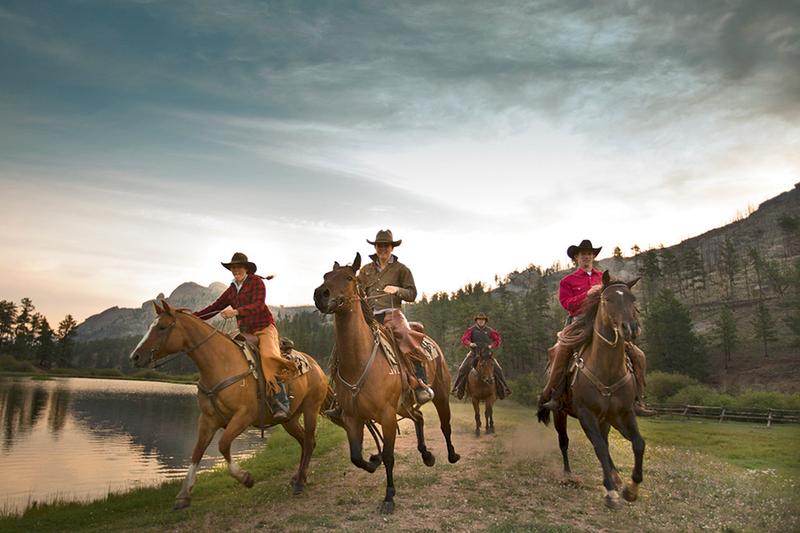 Grand Adventures offers two, four, and eight-hour tours. We opted for four hours. As we headed out with our Grand Adventures guide Snowmobile Steve, we cruised downtown. Grand Lake is the only town in the state where it’s perfectly acceptable to get around town via snowmobile in winter. Shortly after we left town, we saw the sign for Rocky Mountain National Park. For two miles, we got to ride through the breathtaking scenery of the only spot where you can ride a snowmobile in the park. With gobs of fresh snow, it felt like we were snowmobiling in a snow globe, with nothing but the hum of the sleds as we zoomed past trees drenched in fresh snow. Most of our ride was on trails in the Arapaho National Forest. My adrenaline was pumping as we weaved in and out of aspens and pines, picking up speed in the straightaways. With over two feet of fresh snow that weekend, when Steve offered us the chance to play in a meadow of powder, we all said, “Yes!” Then one by one took off and let ‘er rip. We were hootin’ and hollerin’, giddy with glee, as we glided through the powder. It was like a giant pillow fight as the snow went flying then lightly floating back down covering each of us in snow so fine it could have been pixie dust. Drivers do have to be 18 years old, but kids can ride along with an adult. 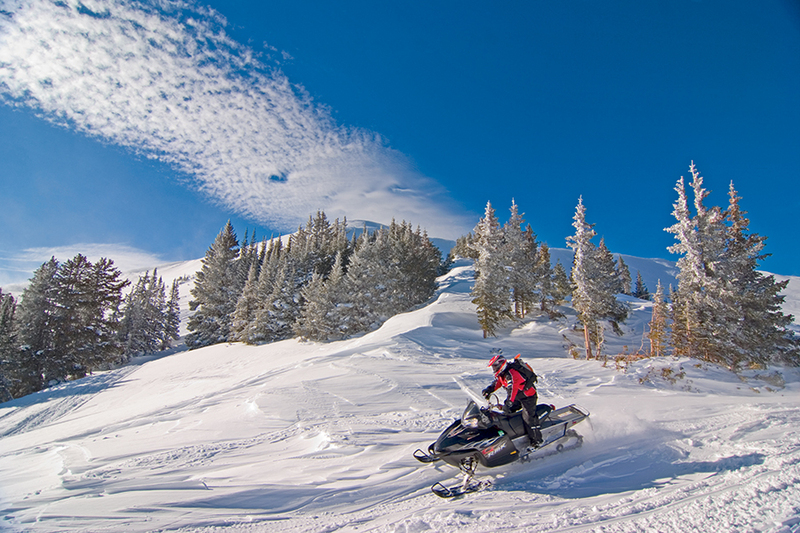 The fastest way to explore Colorado’s backcountry is an exhilarating ride. Like this article? Share it online at AAA.com/speed. AAA Members save BIG on single day lift tickets at Copper Mountain: $89 adult tickets for ages 13 and up, and $62 for children 6-12 for any single day from November to April. Visit AAA.com/coppermountain. 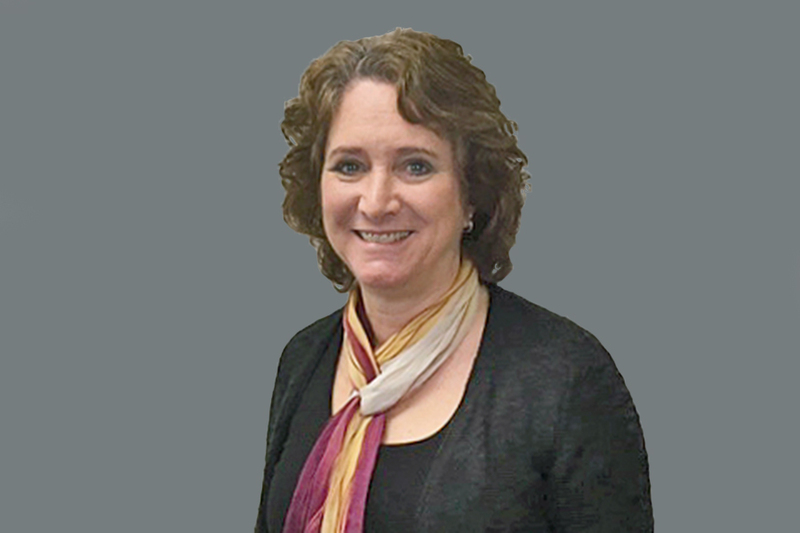 Jennifer Broome is a television meteorologist and host, travel writer and photographer, avid skier and explorer.